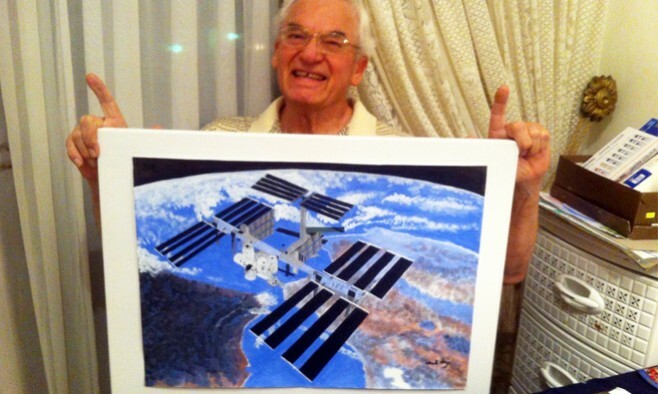 When Walter Reynecke tweeted a photo of his painting of the International Space Station (ISS), never in a million light-years did the 74-year-old with Parkinson’s disease expect an astronaut to reply. After all, he only started painting six months ago. However, Tim Peake – currently living on-board the ISS – made contact with him from outer space via the wonders of Twitter, personally praising Walter’s work. 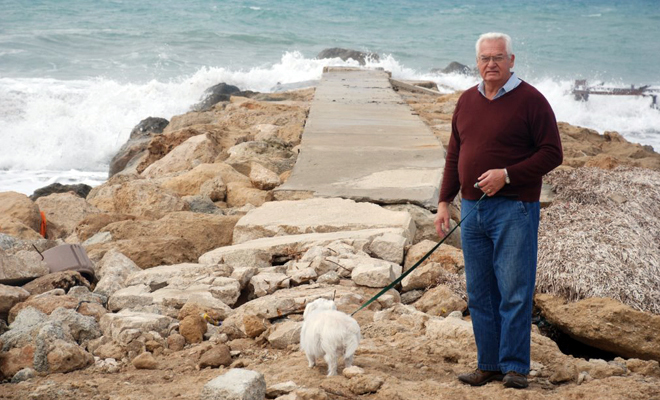 From his home in Cyprus, Walter speaks exclusively to Parkinson’s Life about how lucky he feels to have this new-found talent, its calming effects on his symptoms, and what it’s like to receive an astronaut’s approval. When did you start painting? And what inspired you to begin? I’ve never been taught to paint or had any lessons in art. I actually started six months ago. I needed to replace my hobby of reading and I discovered some painting instruction books in our home and there was also some water colour paint in a drawer. I started on plain typing paper, but soon my wife bought special painting paper and more water colours to paint with. It became more and more evident to me that I seem to have a ‘hidden’ talent that developed quickly. I quickly learned a lot about the medium of water colours. And now I really love this medium. In the future though, I want to try using oil paint on canvas. How does painting affect your mood? I realised that even with the drawbacks I experience with Parkinson’s disease I am able to relax so much while creating scenery with my painting. I literally drift off into a world of colour and live so much into what I am creating in front of me that it takes my mind completely off my problems. I enjoy this more and more every day. The pleasure painting gives me cannot be bought with money. I realise how blessed I am. Just to see the pleasure my finished paintings give to my friends and new ‘fans’ everywhere, makes me happy and encourages me to keep going. How does it affect your physical symptoms? While I paint, I surprise myself that I can hold my paint brushes and do the movements over my painting correctly. I do this activity during my ‘up’ times and when I start feeling the ‘down’ coming, I stop and have a rest. All in all, the joy of painting outshines the symptoms. I move into a lovely world of my own where I create as I please. When were you diagnosed and what symptoms do you currently experience? I was diagnosed in 2009. I have problems like dyskinesia, which affects my gait and makes me unsteady on my feet. I also experience the ‘on-off’ periods, which reduce my active period in a day because I need to rest in between taking my medication. Side effects are also very troublesome. At times my right hand shakes. My head moves in directions I can’t control, so my love for reading had to take a back step because I find it difficult to see what I have to read. My eyes can’t follow the lines. But I never stop trying – I have a strong will and that helps me succeed in what I try. What was life like before diagnosis? My life before Parkinson’s was very active. I worked hard, raised three children through school. I love long walks, swimming, riding my mountain bike to the gym, and walking along the beach here in Cyprus. These things sadly are not possible anymore. But through positive thinking, I progressed into another world where other things give me joy. I can still cook which I love. But painting is my new passion. 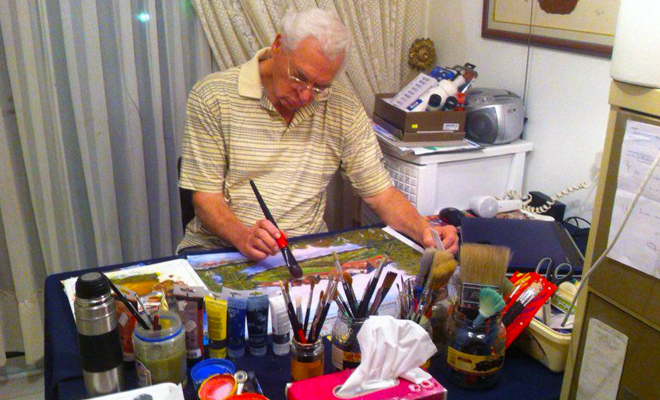 Why should other people with Parkinson’s try out painting? I hope that when other people living with Parkinson’s read about my experience, they will be inspired and realise that if they look deep enough, there will once again be an opportunity to explore their past talents or to try something new. If you don’t try and don’t start, you will never know. 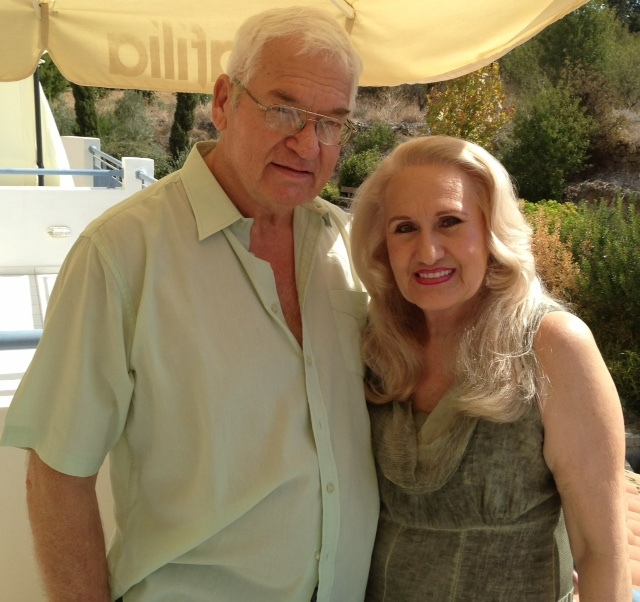 There is life after Parkinson’s. And there is reason to get up in the morning and tackle a new venture in a new day. Fill your mind with pleasant thoughts and enjoy your loved ones who care for you. Be encouraged with new belief and take that all-important first step towards finding your inner self again. Keep your mind occupied, your brain stimulated and your thoughts off yourself. Where does your passion for space come from? For a long time I have been interested in outer space and fascinated with what goes on up there. I have great respect for men and women who prepare themselves so diligently for the task of becoming astronauts. I think it takes a very special type of person to dedicate their career to becoming astronauts. To live up in space in a confined area like the International Space Station takes some doing. I follow the astronaut’s on Facebook and on world news, and during my ‘on’ times I’m trying to read ‘An Astronaut’s guide to Life on Earth’ by Chris Hadfield. I’m really enjoying the book! Why did you choose to paint the ISS? Did you paint it from imagination? I saw a great photograph of the ISS in orbit taken by the Hubble Telescope and I was immediately inspired to paint it. As I started, I became more and more enthusiastic to continue. It was quite a task, because I wanted to do it absolutely to scale. It took a while, but it was so worth it when astronaut Tim Peake saw it and responded with his delight and said that he loved it. What was it like to have your work recognised by the astronaut up in space? Could you ever have imagined something like that happening without today’s technology? 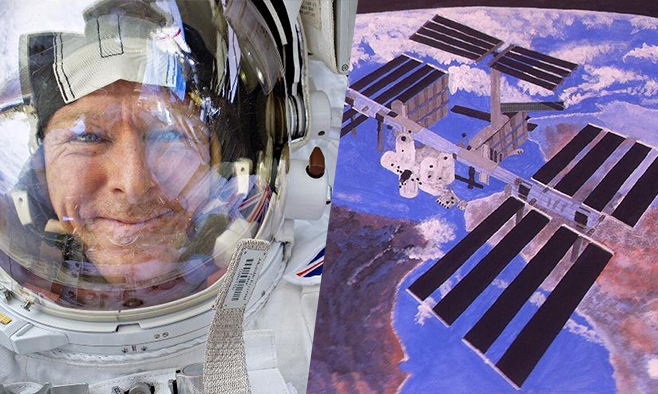 Just the mere fact that my ISS painting could be seen up there in space by Tim, and hopefully enjoyed by the other astronauts as well, is the cherry on top of my hard work to create the painting to scale. I feel a tinge of pride about that one! How wonderful today’s technology is in every way. Once again a wonderful article on my Stepdad Walter Reynecke. Thank you Parkinsons Life for your support and publishing this encouraging story on my stepdad. Love the photographs you have used of both our Wally and Mom, Marie. May this article continue to encourage other Parkinson sufferers as well to never give up on their dreams and continue to believe that anything is possible. Remain Blessed!